So great to have you playing at Muse this week, Wendy! 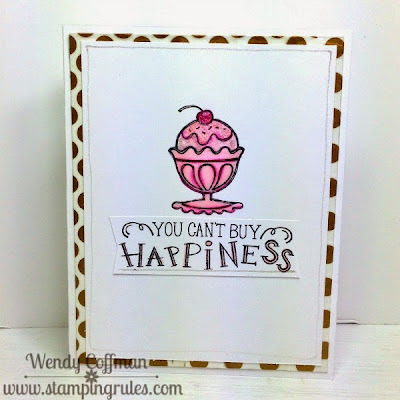 I love how you've interpreted Joan's card and made it your own - using washi tape is genius! ok, I love this. Love the ice cream and the gold dotted paper and the cute sentiment. The whole thing is yummy. Love how you played along at the MUSE challenge. 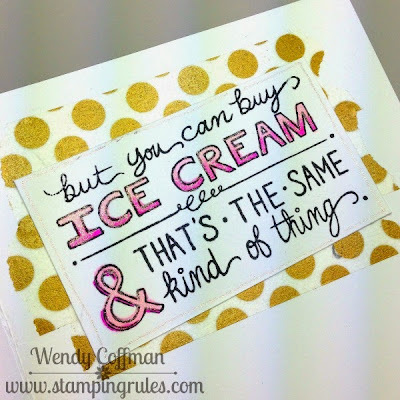 Your ice cream looks yummy and the sentiment is just super fun. Cheers! 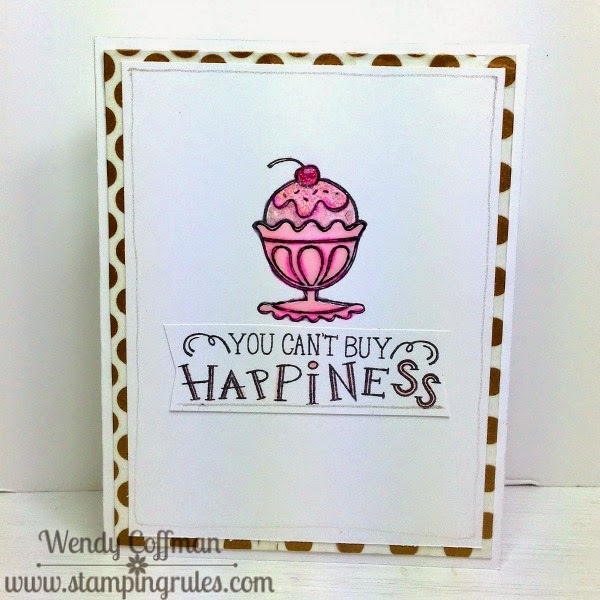 Mmmm - I could go for some ice cream after seeing your card! Love the fun sentiment and how you carried it inside!